Technical Informations – olfor.pl | Łączymy stal nierdzewną! 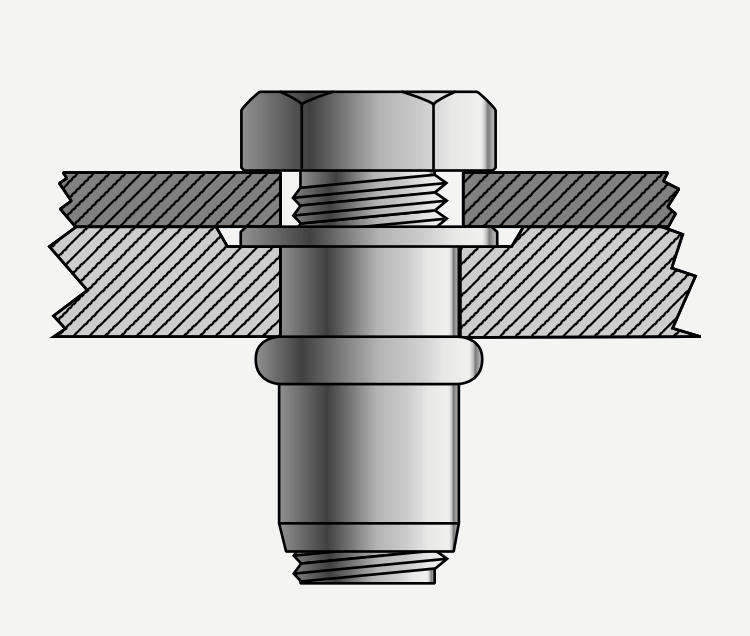 For setting the blind rivet nut into the hole put it onto the mandrel of the tool (see picture 1). 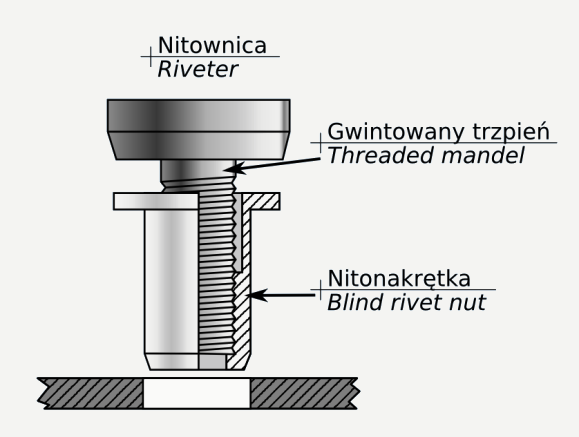 After the tool is activated, head of the blind rivet nut will be closing, thereby tightening both of the surfaces (see picture 2). 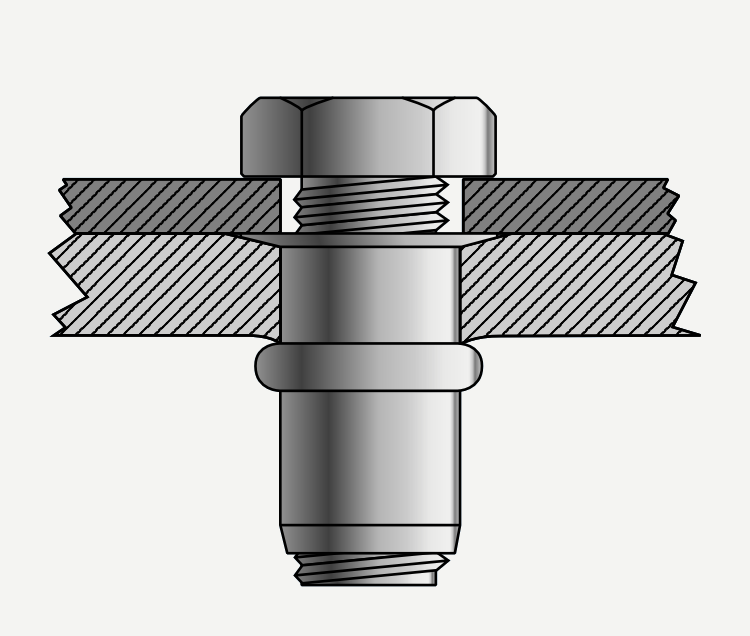 Pay attention: after screwing the bolt, one of the roll of thread should stick out (see picture 2). 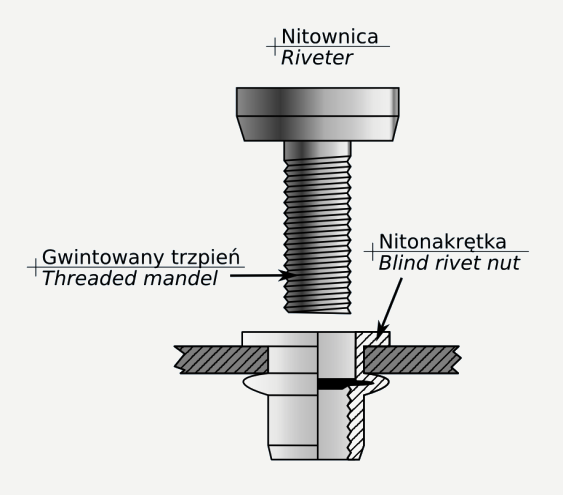 After unscrewing, the blind rivet nut is ready for screwing a bolt, a metric screw or could be used as a separate fastener (see picture 3). It is used if a gap needed between linked elements is minimal or zero. 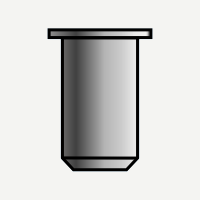 It is used if a gap needed between fasten elements is minimal, thereby the components doesn’t touch themselves. 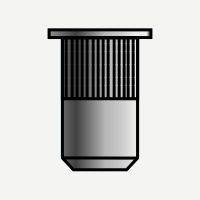 It is used if a gap needed between fasten elements is minimal or the components can touch themselves. Recommended to use in connections with soft materials. 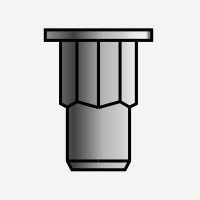 Protects blind rivet nut against rotating in hard materials. 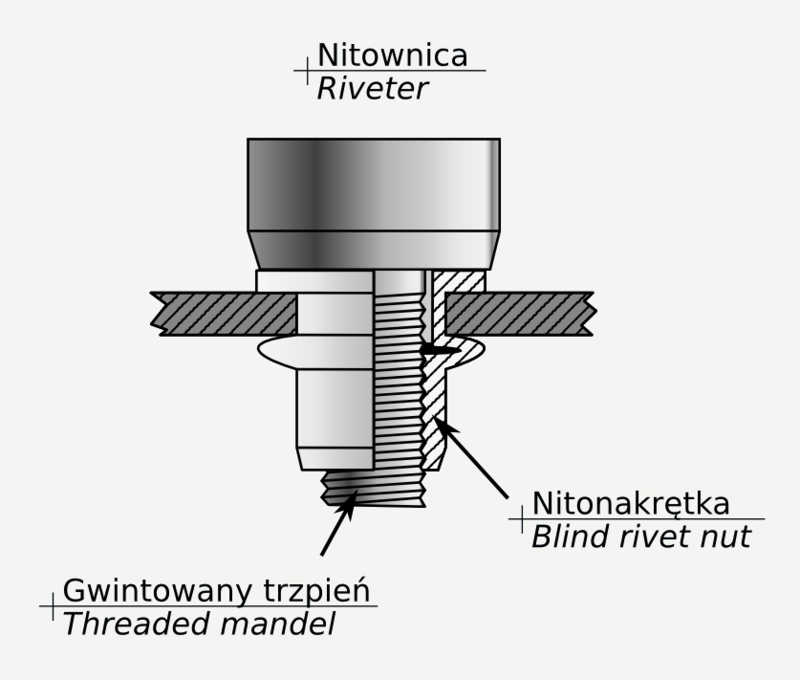 The best protection of blind rivet nut against rotating.